The proprietors of West Acre House bed and breakfasts accommodation have had disability awareness training. 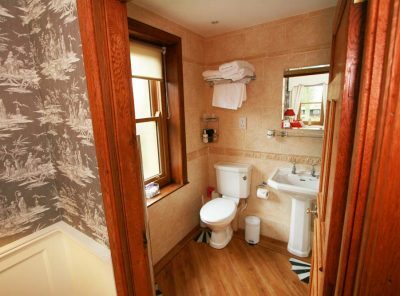 Guest’s with mobility, sight, hearing or other needs: please note that all of our bedrooms are on the first floor, no lift is available, but we do offer help with luggage and accessories if required. If you have any ‘access needs’ that we should know about, please tell us in advance as often problems can be overcome with a little notice. We are more than happy to help if we can! To enable us to help you, please ask questions at time of booking or enquiry to ascertain if our property is suitable for your needs. On Arrival – Parking area, drop off point for guests immediately outside the main entrance. The route from the parking area to the entrance is a level gravel covered surface. There are no steps at this point. Building Entrance – there are two steps up to the main entrance the first 3 inches and the second 7 inches with a 2 inch metal weather bar along the step. 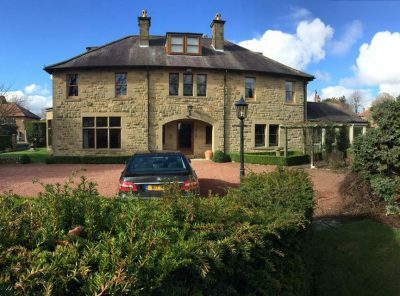 Access to Public Areas – Level access through entrance hall into dining room then a 3 inch step from dining room into Garden Room which is the guest lounge. Breakfast Dining Room – Meals for guests with dietary requirments can be accommodated but prior notice would be appreciated. 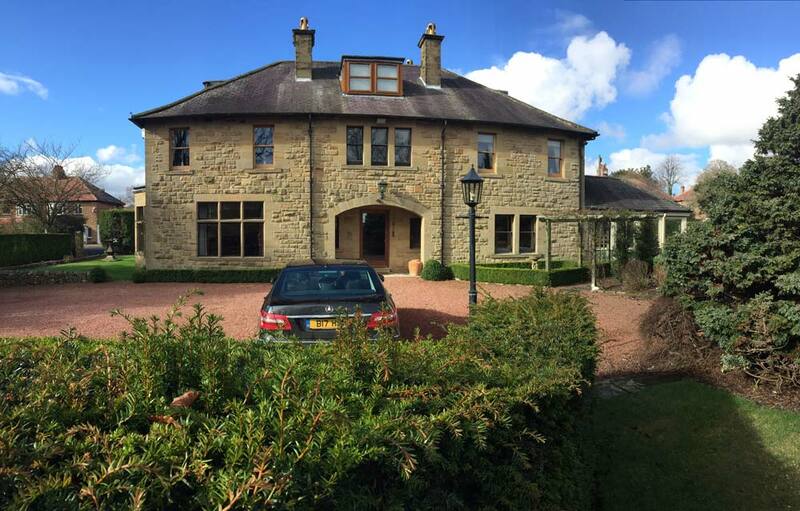 Access to Guest Accommodation/Bedrooms – all of the bedrooms are on the first floor, there is no lift. 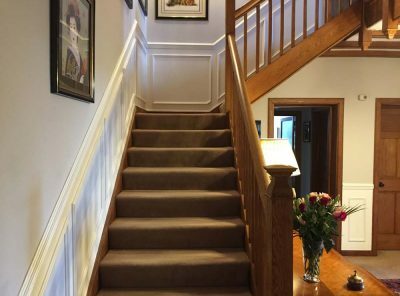 There are 18 stairs from the hall to the main landing, each riser is 61/2 inches high there is a half landing at the 11th stair where a chair could be situated temporarily if required. 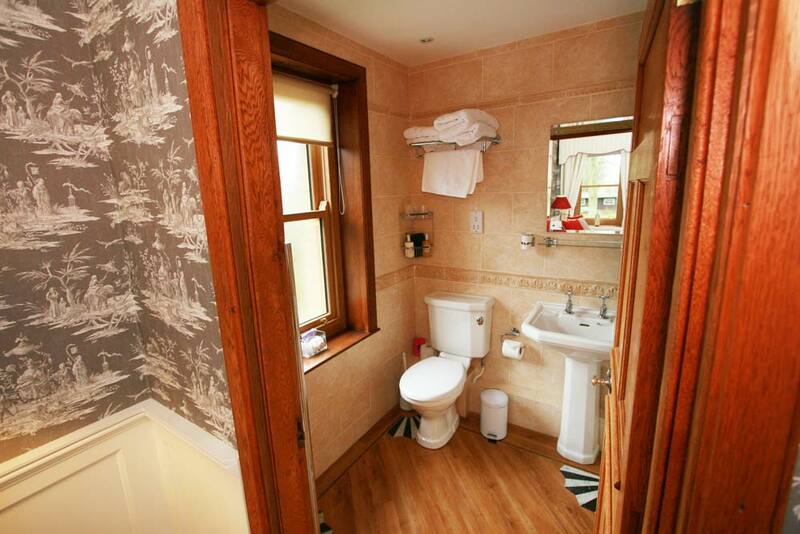 Bathrooms – three are available with bath with shower over and one with seperate shower cubicle. The baths have supporting hand rails fitted. Anti slip mats are provided. General Questions – Proprietor on the premises 24 hours. Available until 11pm. During the night in case of emergency information for contacting proprietor on the premises available in guest folder. The proprietors have had disability awareness training. In case of fire, full audible fire alarm system installed with emergency lighting. Please discuss with us prior to booking to ensure that we are able to deal with any food allergy or intolerance. Whilst we do what we can to ensure that all of our guests are comfortable and safe, we only have one kitchen and we will be preparing foods of all types including products which contain nuts and other allergens.